A few days ago the media and liberal blogs were all over the story about the Department of Justice not charging CIA interrogators over the deaths of two terrorist detainees. Major publications even emailed out breaking news alerts. If the interrogators are responsible and their treatment of the suspects was illegal then by all means they should be held accountable. But where is their outrage over Operation Fast & Furious? In Fast & Furious, our government allowed over 2,000 high-powered guns to walk into the hands of Mexican drug cartels. They made no effort to interdict the weapons or make arrests. 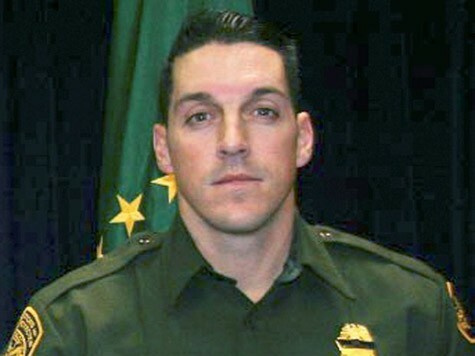 People have used these guns to murder Border Patrol Agent Brian Terry and over 300 Mexican citizens. Guns have been found at twelve crime scenes across America and thousands are still missing. No one has been held accountable. The New York Times regularly buries every Fast & Furious story. They’re usually on page A17 or A21 buried at the bottom of the page. They’re hardly on the front page of the website and usually they just repeat the AP story. The only time anything connected to Fast & Furious was on the front page was last December when Charlie Savage ran a sympathetic piece on Eric Holder. However, this story was given an in depth article, front page of the website, but most importantly the front page of the print copy. Ironically this is the same Kevin Drum who called Fast and Furious “ridiculous” and “never planned to write about it again” until Katherine Eban wrote her blatantly false article about it in Fortune. No sympathy for the victims of Fast & Furious or the whistleblowers. These whistleblowers have been ruined as well. So this coverup infuriates Ms. Eviatar, but does she feel the same way about the Fast & Furious cover up? Her previous posts contain nothing about Fast & Furious. No outrage about Mr. Holder and even President Obama to cover up Fast & Furious despite the blood of hundreds spilled by the operation. The double standard is bad enough, but when they do this over tragedies it is worse. When it comes to corruption and people losing their lives there should be outrage on all sides. This story deserved the attention, but Fast & Furious deserves it as well. It’s hard to take any of them seriously when they pick and choose who receives sympathy and justice.